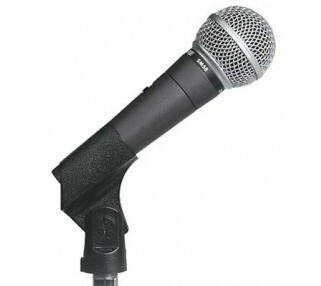 The professional Shure SM58 microphone is the industry standard for vocal use. 25' XLR cable included. 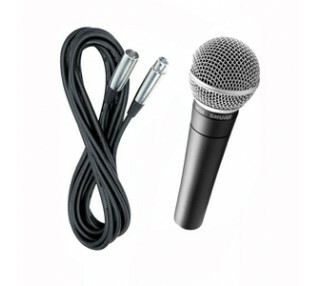 This Shure SM58 microphone rental is ideal for everything from speeches to singing. It is the industry standard for vocals and will deliver a full sound range with minimal popping.